Is a vendor booth at an event a good idea? Depends on your goals – and the event! Since we were there on Sunday, it seems we missed the exciting things … like the pancake breakfast, the horseshoe tournament, and the PARADE! We didn’t see many cars of any sort, let alone of the car show variety, and we were gone well before the volleyball tournament got underway. What we saw was, well, somewhat sad. We had good frybread – again, more by luck than planning, I think. And there was live music that wasn’t bad – especially if you like (or don’t mind) the “here’s how Jesus saved my life” commentary between each song. Um – yes. Yes, we are. I indicated as much and asked him why. He’s an author, and he had a booth we had completely ignored because it had no signage and nothing to indicate what it was or why we should visit. Now, in this man’s defense, Sunday was a W-I-N-D-Y day. The tarps on every booth were flapping and flailing like crazed Macy’s Thanksgiving Day Parade balloons. So Dustin – it turns out the man’s name is Dustin Hall – explained that he was a new author and had his book, Waking the Beast, for sale. His partner also informed us that their booth had been well appointed the prior two days of the festival – the wind on Sunday had just made it impossible to keep the banner secured or anything on the table upright on the day we happened by. Dustin’s really well done banner includes his website (I might suggest omitting the www), QR code, where to buy his book, and the forms of payment he accepts. The accompanying poster has his head shot and cover image. So, we bought the book. It still sits on my side table, right where I left it when I walked in the door that evening. I’m reading another local author’s book right now, but may give Dustin’s a crack when I finish that one. No promises, because it’s really not my genre – but it is my husband’s! Here’s the most amazing part, though. I asked Dustin how he’d done, in terms of sales, and he told me he’d sold about 50 copies over the course of the weekend. I don’t know what his printing cost was, but at $15/book, he still did pretty well, especially since the booth rental was only $75 for the entire weekend. So here’s the takeaway. A 10’x10′ booth at the 2016 Tucson Festival of the Books is $710. Yep, there are 100,000+ in attendance, but you’re one author trying to make even a small splash inside a very big pond. From my perspective, an investment in an event like that has to be more about exposure and networking within the industry than about book sales. Will your budget support such a thing? On the other hand, you can do what Dustin did and be the only author at a small event. And be willing to get out and talk with people. Not only did he sell 50 books, but he met me and I’m blogging about him and his book. And this blog post is going to get shared on Facebook, Twitter, LinkedIn, and Google+. Will it generate even one more sale? Possibly. Will it help with his exposure? Of course. And it may help his SEO because it will create a link back to his site. One last thought: The Power of the Group. With whom can you partner to share an event booth and cut costs while you increase your exposure? Good partners might be other authors, musicians, speakers, coaches, or people with products in which your readers would have an interest. And while you’re partnering there, why not keep looking for other ways to leverage your connection? Events, PR, promo products, videos … the opportunities are only limited by your imagination. Here’s to finding the great opportunities and capitalizing on them! If you’re new to social media, my book Social Media for Authors goes into much greater detail about when, how, and where to post for the greatest chances at succeeding with your specific goals. Get your copy today! It’s never too early to begin planning! You can have results or excuses – not both! THE. LAST. POST. Day 35 of the 5-Week Author Blog Challenge asks what I will do to keep up the momentum the Challenge has helped me create. All 35 posts for this Challenge were focused on writing, publishing, and book marketing. I hope you’ll go back and read some of the other 34 posts if you’re just happening on this one by happy accident. What are you going to do to keep the blogging momentum going? What plans do you have to continue your connection with other Author Blog Challenge participants and the new readers you’ve generated for your blog? Your writing improves when you write every day. When you have prompts, it’s easier to write every day. You have no excuse not to write, even if you don’t feel like it. It takes a lot of time, if you’re going to write thoughtful posts that other people will actually enjoy reading. They don’t have to be long, but they do have to be good. I’ve read some of the posts from my fellow Author Blog Challenge participants. As might be expected, they vary from outstanding to just-get-it-done in quality. But the good ones aren’t necessarily the longest ones. In taking time to write thoughtful posts, I’m not spending as much time on my novel, which I am committed to finishing by the day before Thanksgiving. As the host, of course, my time commitment is greater than those who are simply participating. To that end, I will issue myself a new personal challenge: To write 3 content posts per week, along with my regular Sunday Inspirations. And to finish my novel by November 25th. I will also post every blog post on the ABC Facebook page – and encourage all the other participants to do the same! What are YOUR publishing goals? What are you doing to get them done? A friend of mine started a FB group where a group of motivated people are getting together to cheer each other on for the last 100 days of the year. We’re posting our business goals, personal goals, and the steps we’re taking to get there. Today it’s 76 days until the end of the year. Are you speeding or coasting to the finish line? So there it is: 35 days of blog posts in a row – with a few bonuses thrown in. Thank you for reading, whether you’re just reading this post or have been with me all the way through! Whatever else you do, keep writing! We’ll do another Challenge, maybe six months or a year from now. Stick around. Details will arrive in your inbox if you’re a subscriber. Maybe next time you’ll join as a participant! To a YOUR writing and publishing success! The penultimate post… Day 34 of the 5-Week Author Blog Challenge asks what I liked and would do differently with the Author Blog Challenge. All 35 posts for this Challenge will be focused on writing, publishing, and book marketing. I hope you’ll stick around through all 35 posts. And if you want to take part, come on in – the water is great! You can register here. 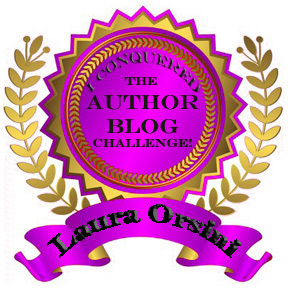 What has been the best part of participating in the Author Blog Challenge? What are your suggestions for improving the next Author Blog Challenge? Far and away, I have loved participating in this Challenge more than either of the previous two – even when I felt the cold sweat on my neck as one day wooshed into another without a post, so many in a row that I found myself 8 days behind! Given that I am the creator and host of this Challenge, it just wouldn’t do for me to cop out and bring in anything less than all 35 posts before the 11:59:59 p.m. PDT deadline on Saturday, October 17th. God willing, since this is my penultimate post, I will be able to do that. Two of the biggest benefits for me were the impetus to write every day – or make up for it when I didn’t – and the ability to make the publication of my novel more real to me. Thank you, Ray Bradbury! That’s such important advice that every writer would do well to try to follow. As you know by now – if you’ve been reading these posts with any regularity at all – I’ve been working on this novel for a Long. Damned. Time. And I suppose life really did get in the way in a couple instances. But mostly, it’s been me sabotaging my own efforts and success. I’ve got a great support team, excellent editor standing by at the ready, and marketing plans that will ROCK! So now that the Challenge is over and I will have time for my other writing, I can fulfill the promise I know “Stan” holds. Yep – it’s intimidating to walk into a bookstore and see all the bright, shiny competing titles. It’s intimidating to be in the company of such great authors as the other participants in this Challenge and the members of the Phoenix Publishing & Book Promotion Meetup. It’s intimidating to see a news report about a local historical author earning in the six figures. But I know I’m a decent writer. I’ve spent a long time on “Stan” thus far and will follow this project through the final 10 percent to completion. This Challenge helped me recommit, find an editor, and figure out how to pitch the book (part travelogue, part social commentary, part fiction). Things I’d do differently next time? Monetize it so that I can get help to run it. Really – it’s a LOT of work and I didn’t do all I wanted to, simply because family time commitments continued to drag me away. Life, I believe they call that. So … we’ll do another Challenge, maybe six months or a year from now. Stick around. Details will arrive in your inbox if you’re a subscriber. Maybe next time you’ll join as a participant! Please make sure to check in again tomorrow for the final post of the Challenge, when I will tell you what I plan to do to keep the momentum going. 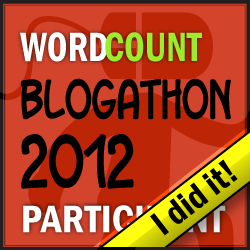 To a very successful Author Blog Challenge! Don’t let lack thinking kill your creativity! Just two more posts to go… Day 33 of the 5-Week Author Blog Challenge asks about my next book project. All 35 posts for this Challenge will be focused on writing, publishing, and book marketing. I hope you’ll stick around through all 35 posts. And if you want to take part, come on in – the water is great! You can register here. What is/will be the subject of your next book? Ever get the feeling you have more ideas than you have time? That’s the way it is with me and story ideas. Now that I’ve just about completed my first novel, the fiction bug has bitten and I want to do more of it. There will be no sequel to “Stan” – it’s an entire story unto itself that requires no further editions. I think I’ve mentioned before that I’m not much of a series girl – never liked reading them, so I cannot even conceive of writing them. That said, I do have plenty of new ideas constantly percolating. As I sit down to tell you what they are, a little gremlin warns me about sharing my ideas because someone might steal them. Oh, yeah? Let them! Steal away! You write your version, and I’ll write mine. They’ll be so different, they won’t even be recognizable as derived from the same plotline. Having belonged to specific clubs and networking groups and seen the flirting that goes on between members at times, I cannot help but think it must, in some cases, lead to affairs. One group that helps individuals improve their public speaking comes specifically to mind, as the nature of the organization and its meetings invites a certain level of intimacy, weekly connections, extracurricular engagement at lunch (at least our club went to lunch together regularly), and bonding time that is unique, even to most office scenarios. So … what if … a woman found out her husband was leaving her for someone he met at this group? Devastated, she is commiserating to her hairdresser and learns that two other women who patronize the same salon are in the exact same situation! A love story between a woman reporter who goes undercover to live with the homeless population finding shelter in the tunnels under a city like Las Vegas or Kansas City and the man who tries to help her. She becomes so invested in the story and reporting the plight of these people that she has a psychotic break and is unable to come back to “regular” life. A modern-day, feminist version of Snow White and/or Cinderella. A story about a boy who has a traumatic brain injury while surfing that allows him to communicate with animals. A little Dr. Doolittle and a little Bill & Ted, with the added element of the discovery of a sordid animal experimentation scheme. It would seem that while each of these would require a certain amount of research, none would be as involved as my initial fiction project! With “Stan,” it was most certainly baptism by fire. And I was sooooo tempted to jump into the 3-Day Novel contest again this year – but I forced myself to stay the course. Finish Stan Finds Himself on the Other Side of the World before I start another novel. Any other novel. Of course, I’ve never done NaNoWriMo – and that’s just around the corner… so who knows? Drop a note to reserve your copy of any of the three above-mentioned titles! 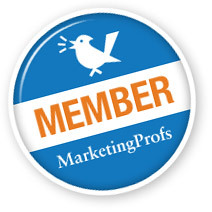 Please make sure to check in again tomorrow, when I will offer my thoughts about this blog challenge experience. We’re winding down here… Day 32 of the 5-Week Author Blog Challenge suggests we give some shout-outs. All 35 posts for this Challenge will be focused on writing, publishing, and book marketing. I hope you’ll stick around through all 35 posts. And if you want to take part, come on in – the water is great! You can register here. Time for some shout-outs. This may mimic your acknowledgement page, but whom would you like to publicly thank for their help in creating your book or completing it to the point where it is presently? Next up, I must thank the small group of writers in my very short-lived writers’ group. The writers themselves didn’t do anything in particular, but “Early one morning…” was one of the prompts we used, and it led to the first four paragraphs of Stan Finds Himself on the Other Side of the World. Of course, the shout-outs would be incomplete without thank you’s to all the people who gave me context, ideas, and insider info from which to write: Jane, Jacie, Nick F. and everyone else from my Lehman Brothers days, Samantha, Lisa, Sunil, Joey, Jeni, Arthur, and anyone else I might have inadvertently overlooked. Next, I have to thank my sister and my friend Carol for their early strong encouragement. Right behind them are my great friends from a now defunct ABWA group. In particular, I thank Janet, the world traveler, who continues to cheer me on. She read an early copy of Stan and said, “It read like a mystery. Kept me interested to the end!” In fact, many of my world-traveler friends (Barbara, Ellyn, Helen, etc.) have given me hope that I’ve written well about places I’ve not yet visited. Thank you to all the members of the Phoenix Publishing & Book Promotion Meetup who keep showing up and making progress on their own books. Your successes, small and large, continue to encourage me. Thanks to my dad, who always believed in my language skills, and Sister Laurian for being one of my very first encouragers. Thanks to my mom for all the creative genius she sent my way. And thank you to my amazing husband, John, who continues to support and encourage whatever new crazy idea I come up with next. The ride wouldn’t be worth taking without you, babe! Please make sure to check in again tomorrow, when I will offer be tossing out teasers on the ideas that might turn into my next novel. Who do YOU need to thank today? Get out of your own way and Do. It. Now. Day 31 of the 5-Week Author Blog Challenge asks about advice, giving and receiving. All 35 posts for this Challenge will be focused on writing, publishing, and book marketing. I hope you’ll stick around through all 35 posts. And if you want to take part, come on in – the water is great! You can register here. What is the single best piece of advice you’ve ever received about the publishing process and/or what advice would you offer to a first-time author? I’ve received so much advice over the years, it’s difficult to narrow it down to just one thing. I supposed Ray Bradbury’s constant mantra of “Writers write every day” is pretty important, even though I haven’t always lived up to that standard. I think just about everything in Steven Pressfield’s amazing book, The War of Art, is impactful. Just get out of your own way. Perfectionism is the surest road to insanity and never finishing your book. My advice to first-time authors is always the same: the physical making of the book is easy. Editing, book design, even marketing are not rocket science and are things for which you can generally hire, even on a meager budget. The Web – this blog ­– contains more marketing ideas than you could accomplish if you worked on it full-time. Sure, you’ve got to make a plan – a cohesive plan that you stick to and the steps of which you take toward your goal. The best-knit plan in the world won’t benefit you in the least if it doesn’t get used. But the one thing you cannot hire out – the one thing only YOU can bring to the table – is the story or message that you want to share with the world. No one else can give you a story or message. You, alone, have to figure out how to get it on paper. Dictate your story and have the recordings transcribed. Use mind-mapping to plot your story or chapters. Write it on sticky notes and napkins and hand the whole bloody mess over to a ghost writer. Write one looooonnnnnnggggg paragraph and hire an editor who can make it into a book. Write bullet points and find someone to help you flesh them out. Turn your blog posts into a book. Turn the notes from your speeches and presentations into a book. Record every meeting you have with clients and use the conversations as an idea-generator. Just get started. Write. Write every day. Write even if you don’t think it’s any good. Write without filtering, just to get your ideas down. Stop waiting; start writing. That’s it – best advice I could offer you. Do. It. Now. Please make sure to check in again tomorrow, when I will be sending out some well-deserved “thank you’s”. Here’s to just getting started! This is not my typical post. I received it tonight via email from my wonderful friend, Babara Chavarria – and my immediate instinct was to share it. Notice the partnership – illustrator Pablo Stanley and legendary songwriter and artist John Lennon. I suppose the lesson, if you must draw one, is to find a partner to help you express yourself in a new, unusual, or unexpected way. Such a creation could be an excellent way to increase your reach by touching a segment of the public that warms to your message even though they wouldn’t find you through your typical channels. Here’s to creating an unexpected experience for your readers!